Happy Birthday, DCC! We’re having a party. You’re invited to your party. On Sunday, April 1st, we are celebrating our first birthday together as a newly-forming, Jesus-following people in the heart of this great city. Jesus’ church is a people, not a place, so this is our birthday. We’re not celebrating the planting of an organization, but the planting of the gospel in this city that is resulting in a new, redeemed, forgiven people for Jesus – us. Yet, this isn’t about us and what we have done, but about Him and what He is doing. the gospel of Jesus Christ for the glory of God. A great city is one in which Jesus is loved, sin is forgiven, lives are transformed, mercy is extended, hope is planted, justice is worked, and joy is rampant. All of this points to the Great City that is to come (Rev 21:9-27) and is only, ultimately, made possible through the gospel of Jesus. We’re already seeing this take place in small measure and it is beautiful in God’s sight. – and He’s all that really matters. At the end of our lives, we’ll only wish we had trusted Him more and loved others better. While it is (very!) exciting to think of all that Jesus may do in and through us, let’s not make those things the standard of our success. Let’s work, pray, love, serve, live, and share the gospel as though it is all up to us (because it is! )…while trusting it is all up to Him (because it is!). Somewhere in the middle of all that we get the joy of partnering with God in His purposes and He gets the glory. But, don’t forget. Jesus is our success. Jesus is our righteousness.Jesus is our hope. Jesus is our celebration. Jesus is our joy. Jesus is our salvation. Jesus is our redemption. Jesus is our Shepherd. Jesus is our King. So, you’re invited to your own party as we celebrate Jesus’ work in, among and through us. From the beginning of this church, we have asked Him to do what only He can, so that the city will not confuse our work for His. Let’s continue to trust Him for the same in the year(s) ahead. 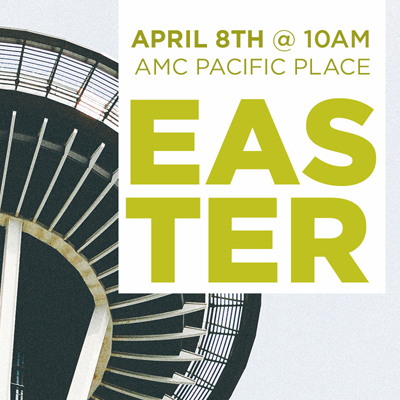 Join us on Sunday April 1st, 10:00am, at the AMC Theatres in Pacific Place (6th & Pine) for a family-style celebration. Be sure to invite someone to see what Jesus is doing. No Cornerstone Kids provided. Downtown Cornerstone exists to build a great city through the gospel for the glory of God. 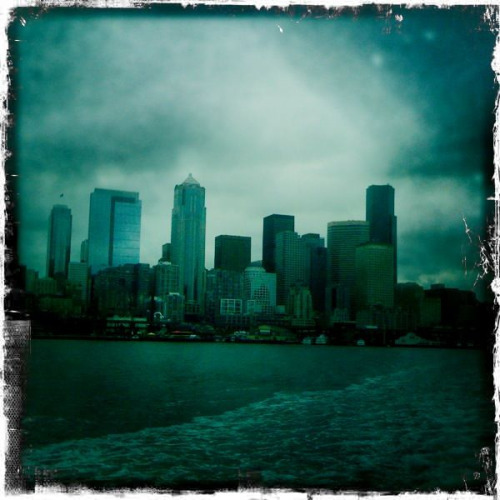 We love Seattle and want all who call this city home to know and love Jesus Christ. That’s why we exist. God has been incredibly gracious to us in 2011. We launched in April, planted six communities throughout the city, baptized 10 individuals, and saw many move downtown to join Jesus’ mission. We are humbled and thankful. Yet, we know Jesus wants to do more. To do that, we need your help. This is a great time to consider year-end giving or further involvement in 2012. We are currently 70% of the way to being self-supporting as a church. Our aim is to be fully self-sustaining by the fall of 2014. Until then we are dependent on the faithful giving of our members and the generous contributions of supporters throughout the country. If you have already been giving, thank you for your generosity and desire to see the Gospel take root in the heart of Seattle. You are a great encouragement to us. Whether you’ve given faithfully, or have yet to give, would you consider a year-end gift to Downtown Cornerstone? You can learn more about giving options here. We know that apart from God’s grace, prayer and the sacrificial giving of his saints, this work would not be possible. Thank you for your generosity, love and support. Merry Christmas!